This week we continue our close-up look at the final pre-selected watches for the GPHG 2017 – with the awards taking place on November 8 in Geneva. Last week we looked at the Sport Watch category. Today we take a look at the Top six men’s watches from 2017 that are contenders for the GPHG prize – and offer our opinions on who may take the win. For starters the men’s category is more broadly defined than one might think at first blush. The men’s category, as defined by the GPHG, must contain two complications such as date, power reserve, classic moon phase, digital or retrograde time display, and may be adorned with a maximum of 5 carats of gems – if they possess any. 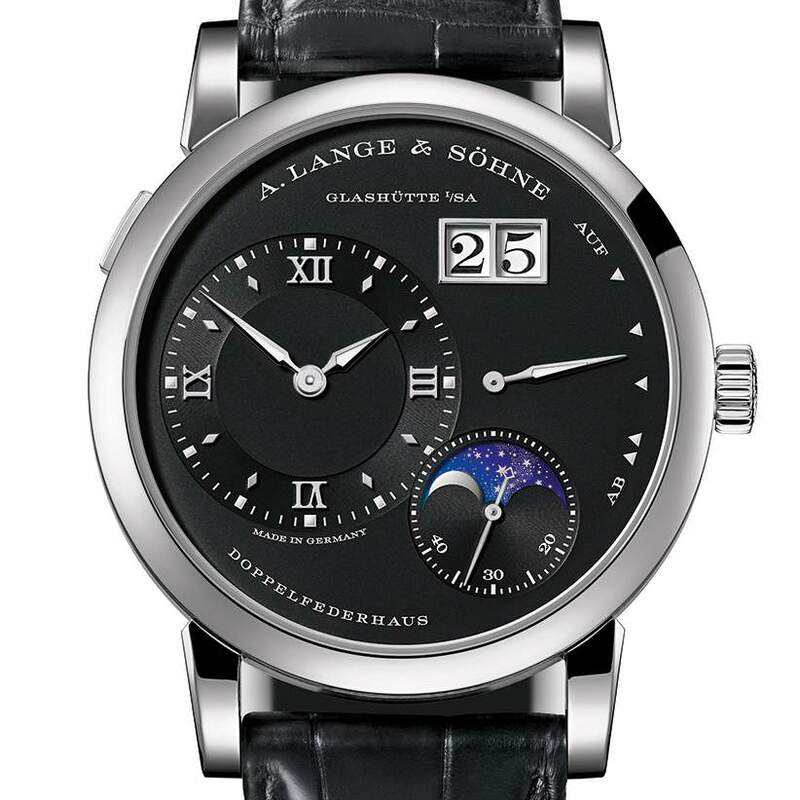 The latest A. Lange & Sohne Lange 1 Moonphase, first launched by the brand in 2002, now features a day/night, indicator combined with the classic moonphase complication with off center hour/minute dial. The moonphase display follows the lunar cycle and is accurate to 122.6 years — at which point it only needs to be adjusted by one day. The construction of the moonphase display is unique and is done by creating a solid gold moon in the foreground, and, in the background is a celestial disc, also made of solid gold. The disc in the background rotates once every 24 hours. As the discs rotate, different hues of blue are created which help to indicate the various times of day. Daytime is a bright sky with no stars; nighttime is a dark sky with laser cut stars. Under the hood of the watch the classic elements remain: twin main spring barrel, 72 hours of power reserve, oversized jumping digital date indicator. The 70 parts for the moon-phase display were cleverly integrated in the L121.3 manufacture caliber. Top Six Men’s Watches of 2017: Bulgari Octo Finissimo Automatic- the world’s thinnest automatic watch. 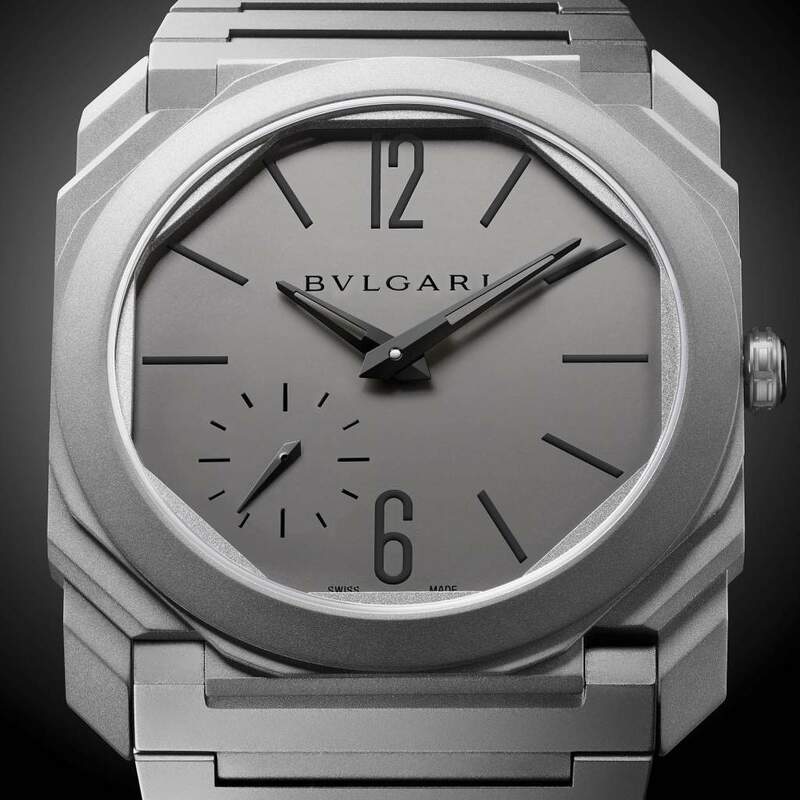 Now the slimmest automatic watch available on the market, the Bulgari Octo Finissimo Automatic set the brand’s third consecutive world record. At just 2.23 mm thick, it is the world’s thinnest automatic. Powered by the caliber BVL 138, it boasts 60 hours of power reserve. The ultra-thin caliber is decorated with Cotes de Genève and circular grained finishing. The case and dial are constructed from titanium and are sandblasted. In addition, the hands and hour markers are finished in a black PVD treatment. This is a watch we have written about extensively – so get the complete low-down here. This year, 2017, Grand Seiko announced that it is now a separate and distinct brand from Seiko. With the advancement of the Grand Seiko line, we see recreations of some of the brand’s most iconic pieces. This Re-Creation of the first Grand Seiko features the brand’s name at the 12 o’clock position, and the case is almost an exact replica of the original that dates back to 1960 when the brand was only available in the Japanese market. This version, though, features a larger case made of 18-karat gold (the original was a gold plated case). 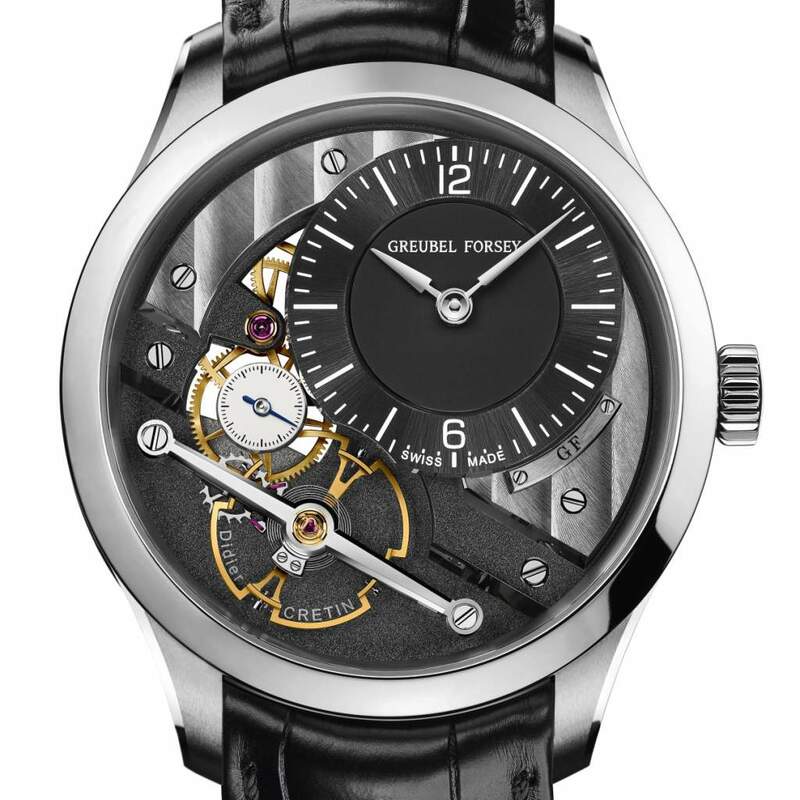 Top Six Men’s Watches of 2017: Greubel Forsey Signature 1. The Greubel Forsey Signature 1 is a co-created piece combining the technological expertise of both Robert Greubel and Stephen Forsey, and the artistic input of Didier Cretin — a long time member of the team. The watch is a manual wound piece featuring a balance wheel oscillating at 18,000 vibrations per hour. The main dial displays hours and minutes, while a separate off-center subdial displays seconds. The balance wheel at the 7 o’clock position features hand-decorated nickel silver bridges with Cotes de Genève engraving. The 2017 piece is created in platinum and just 11 individually numbered watches will be made. 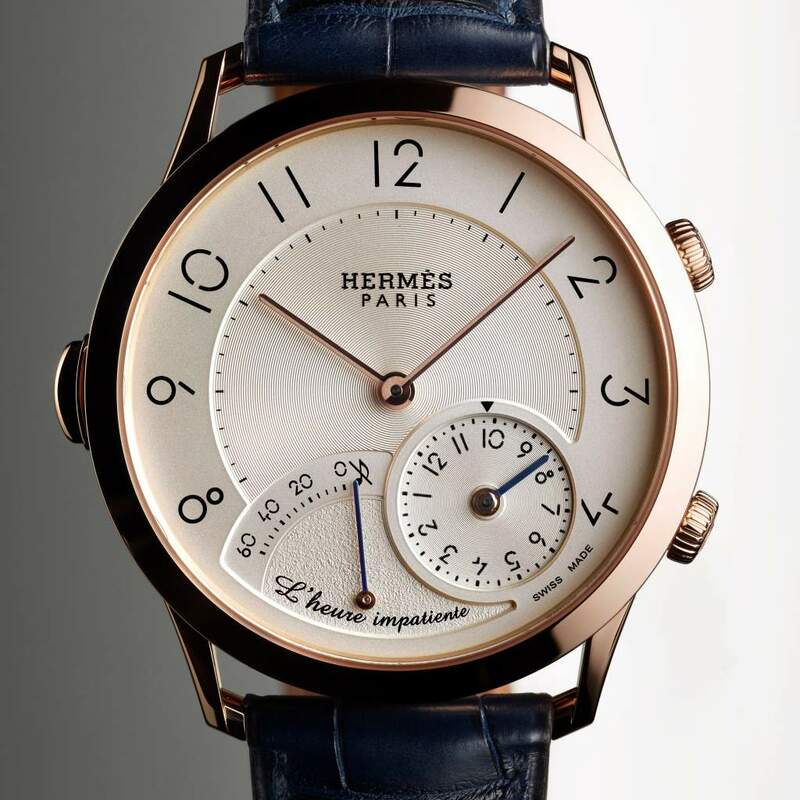 The Hermes Slim D’Hermes ‘Impatient Hour’ watch is worthy of its own long feature article because of its complexity. Luckily, we wrote that article already and you can read the details of this watch here. Suffice it to say that the watch is essentially an alarm watch and countdown timer. If you have someplace you need to be, or an event you are looking forward to, you can pre-set the alarm as long as the event will be occurring with in the nxt12 hours. Then, in the hour before the event, the watch counts down the minutes — chiming a tone at the exact minute of the Rendezvous. The watch is the result of a collaboration with Jean-Marc Wiederrecht of Agenhor. 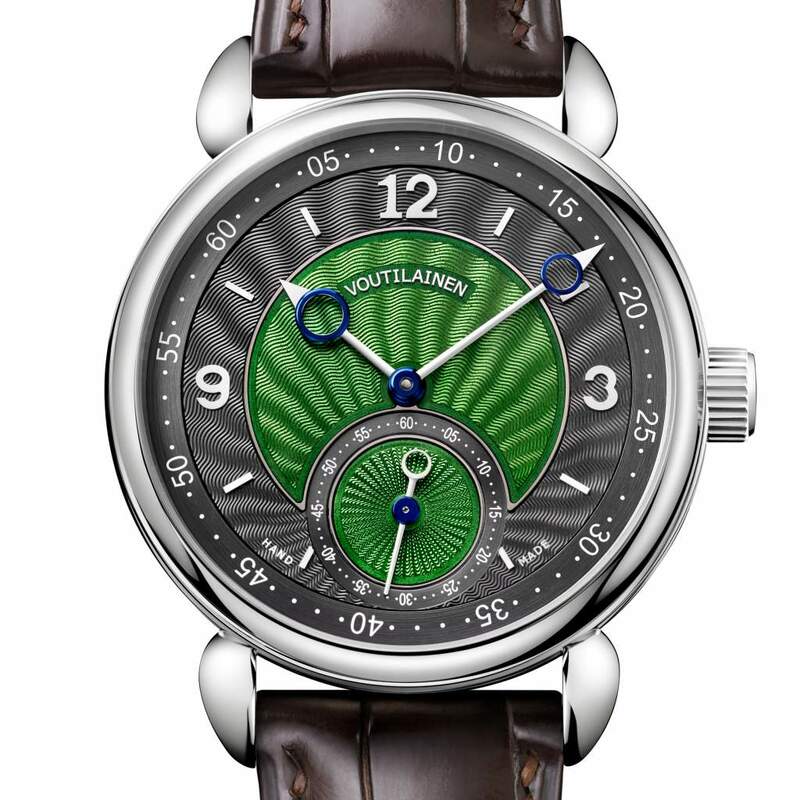 The thought process behind how a user tells time is the genesis of how the Voutilainen 28ISO was developed. In order to read the time, the user must know the rubric for the watch. For each hour the minute and hour hands are super imposed regardless of the time. For every half hour, the hands are opposite. The circle of the minutes hand turns at the same rate as the hour hand. The angle of the between the hour and hand and minute hand remain the same no matter the time. Finally, the position of the hands and minutes is always the same according to the minutes for whatever the time is. The idea is for the wearer to ‘know the time’ as more thinking is required to obtain the information. This is the perfect watch for anyone that has run into the scenario where they look at their watch for the time and then when someone asks them for the time, they need to look again at their watch. Additionally, as the name states, a gorgeous Grand Feu enamel dial is on display, as well as a host of hand finishing techniques showcasing the master craftsmanship behind the creation of the piece. Gordon Henderson: The men’s watch category shows a good deal of breadth, with watches ranging from the simplicity of a classic, well-designed dress watch to intricate complications and high-end pieces. The Greubel Forsey Signature 1 and Bulgari Octo Finissimo both present great narratives, as does the all-new, very creative Hermes watch. However, I hope the A. Lange & Sohne watch wins. I love moonphase complication and the A. Lange & Sohne Lange 1 Moonphase has my vote. As the great Neil Degrasse Tyson has stated on more than one occasion, space and time are connected and one cannot exist without the other. The moonphase complication captures the celestial link between horology and space, and A. Lange & Sohne captures the look and mechanics of it all. Roberta Naas: As Gordon states, the Men’s Watches award is really a nebulous category — sort of a catch all for watches that don’t fit in another category…another reason I am not so fond of GPGH’s categorization. That said, picking a best men’s watch is, nonetheless, difficult — as there is nothing that defines it as a dress watch, a casual watch — just a men’s watch. In fact, I like all of these watch for different reasons. I am lover of everything A. Lange & Sohne creates because it is always incomparable in quality and finesse. The same is true of Greubel Forsey. I think the ultra thin Bulgari may be a bit too thin for men, and the Impatient Hour may not offer a function a man really wants. 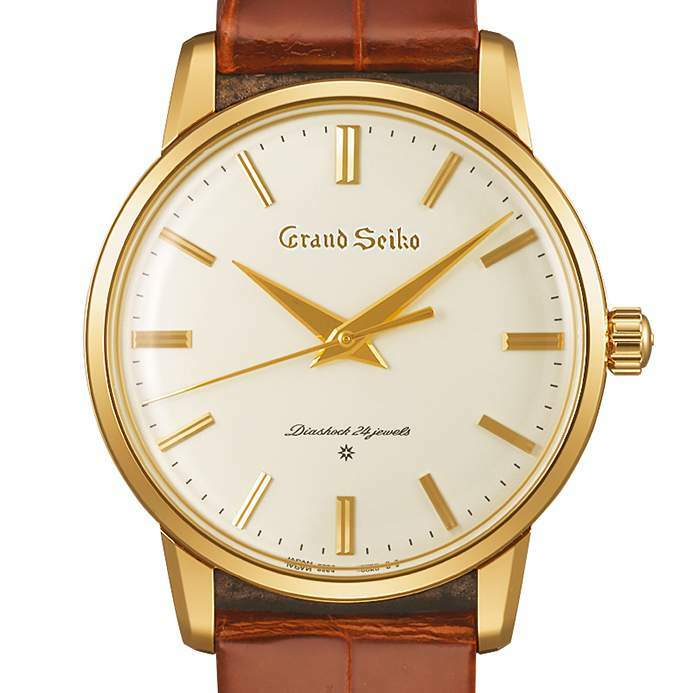 While I would love to see Voultilainen win with these bold colors and stunning dial, I think the win may go to the Grand Seiko for a clean, classic retro look in a modern timepiece.